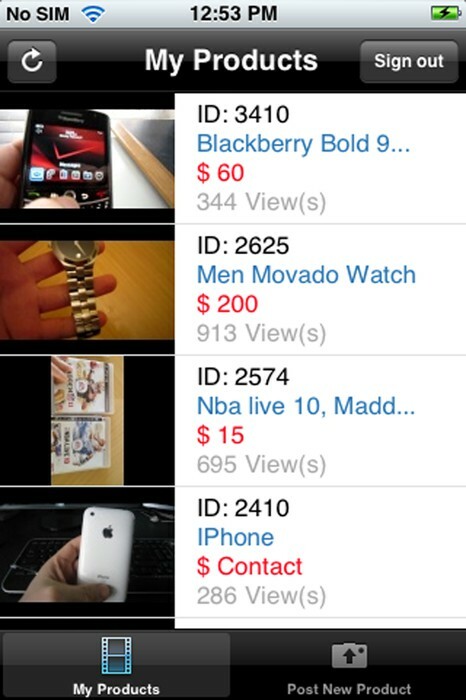 Online video marketplace. Buy and sell used items. 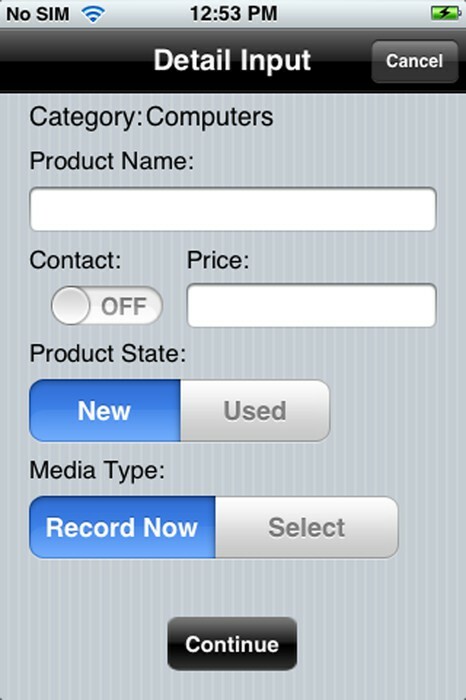 Record and sell your products under 1 minute. 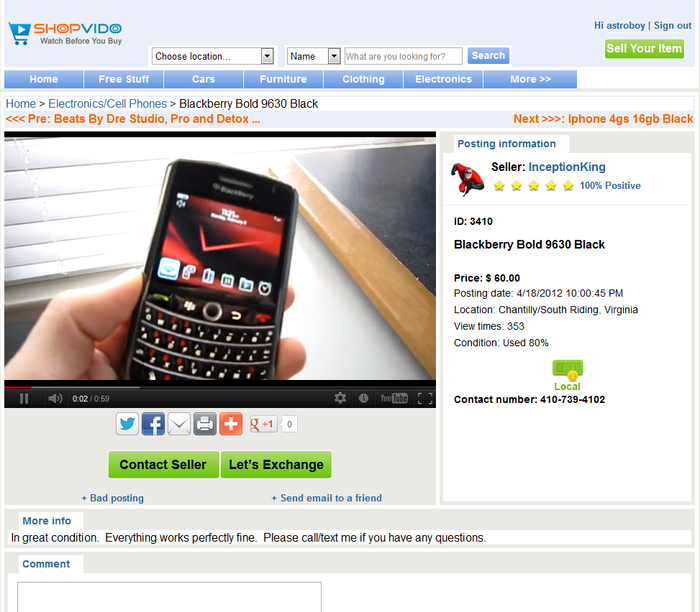 Shopvido.com is an online e-commerce marketplace that uses video listings to connect buyers and sellers together. 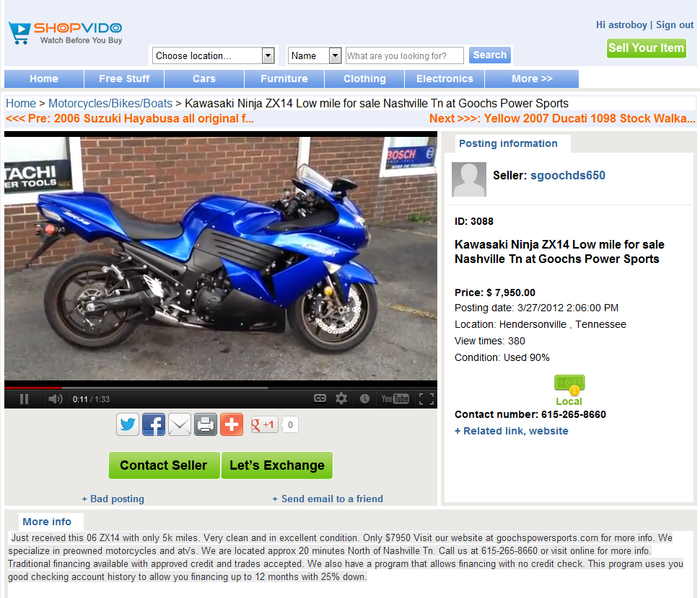 Buy and sell used goods have never been easier. Record what you want to sell in less than 1 minute. 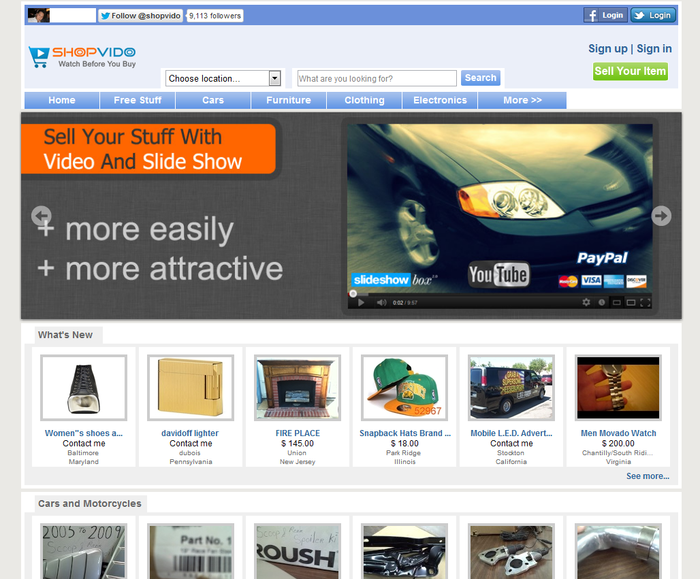 You can open your free online video shop and start selling to the world instantly. 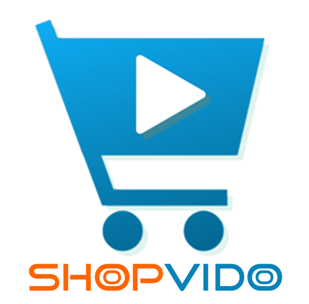 Open your own online video store for free! 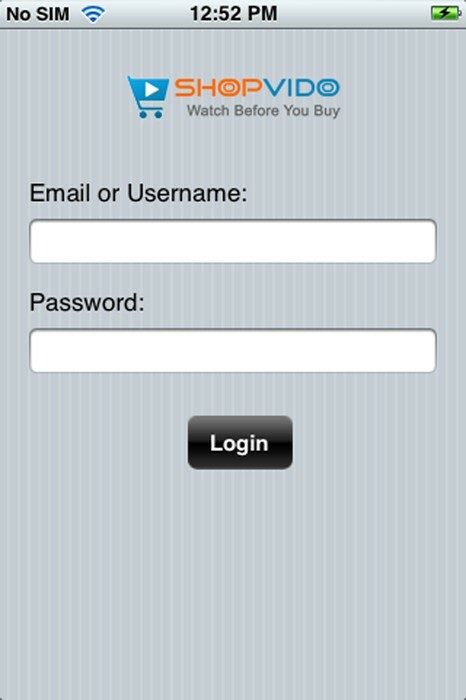 Start collecting payments from buyers via PayPal. 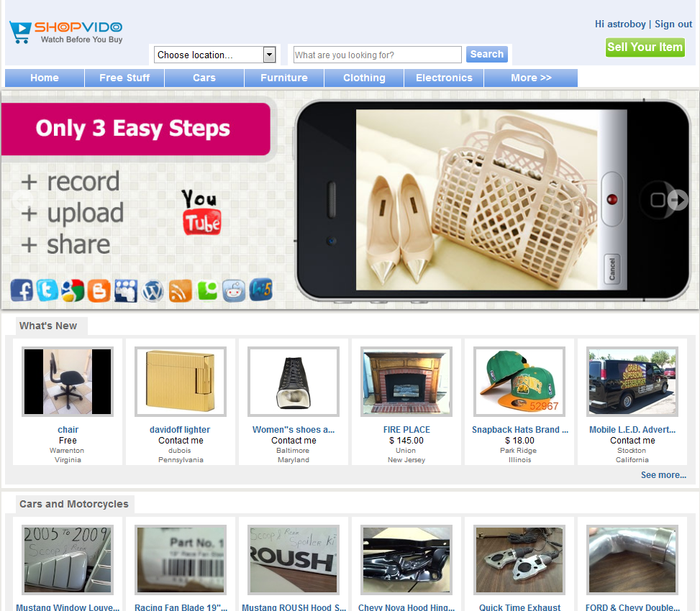 Record and list your products in less than 1 minute with our ShopVido App. 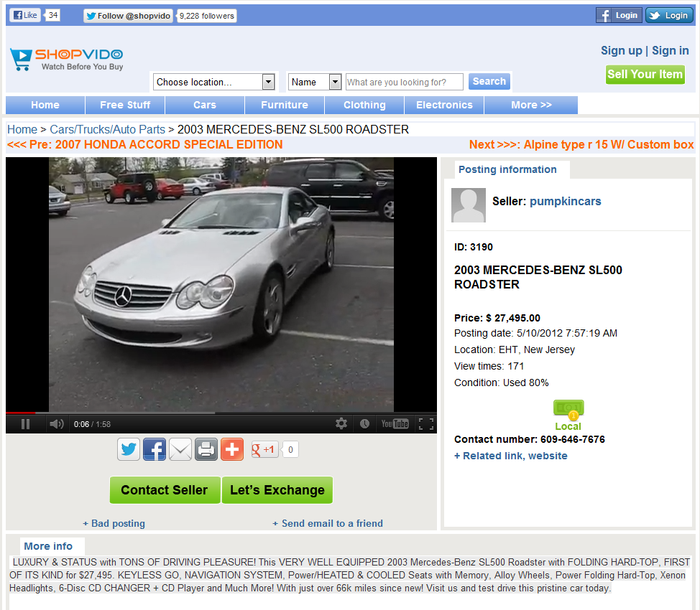 Record and list your cars for sale!